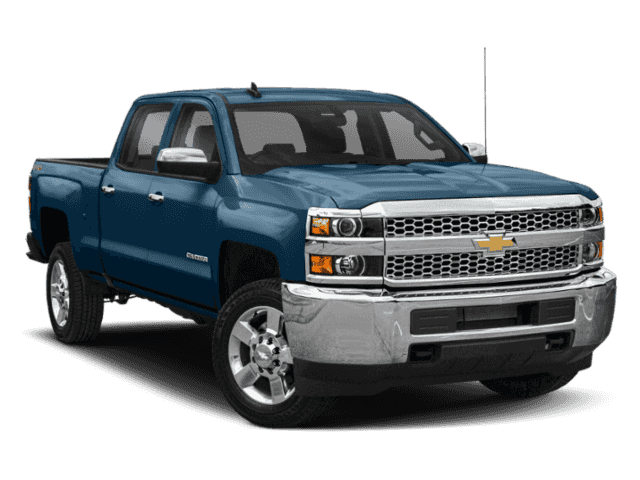 Only 3 4WD Crew Cab 167.7 LTZ models left in stock! Heated Leather Seats, Turbo, Alloy Wheels, Bed Liner, 4x4. DEEP OCEAN BLUE METALLIC exterior and JET BLACK interior, LTZ trim. CLICK NOW! 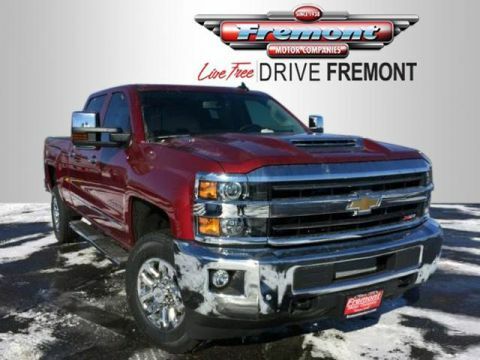 Leather Seats, 4x4, Heated Driver Seat, Back-Up Camera, Satellite Radio, Onboard Communications System, Trailer Hitch, Chrome Wheels, Remote Engine Start, Dual Zone A/C, WiFi Hotspot, Heated Seats, Heated Leather Seats. Privacy Glass, Keyless Entry, Alarm, Electronic Stability Control, Electrochromic rearview mirror. 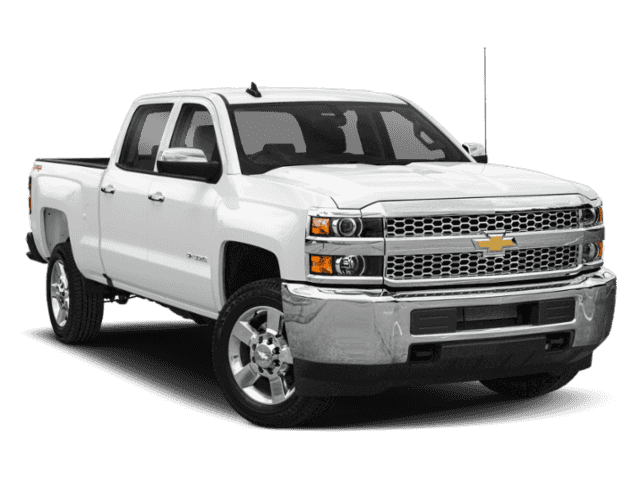 LTZ PLUS PACKAGE includes (JF4) power adjustable pedals, (UQA) Bose premium audio system, (UVD) heated steering wheel and (UD5) Front and Rear Park Assist, LPO, ASSIST STEPS - 6 CHROMED RECTANGULAR, BED LINER, SPRAY-ON Pickup box bed liner with bowtie logo. Liner is permanently bonded to the truck bed providing a water tight seal. The textured, non-skid surface is black in color and robotically applied. Spray-on liner covers entire bed interior surface below side rails, including tailgate, front box top rail, gauge hole plugs and lower tie down loops. AUDIO SYSTEM, CHEVROLET INFOTAINMENT SYSTEM WITH NAVIGATION AND 8 DIAGONAL COLOR TOUCH-SCREEN, AM/FM STEREO with seek-and-scan and digital clock, includes Bluetooth streaming audio for music and select phones; USB ports; auxiliary jack; voice-activated technology for radio and phone; and Shop with the ability to browse, select and install apps to your vehicle. Apps include Pandora, iHeartRadio, The Weather Channel and more. 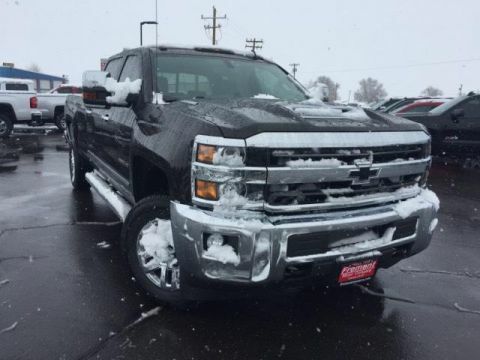 MIRRORS, CHROME, OUTSIDE HEATED POWER-ADJUSTABLE VERTICAL TRAILERING, MEMORY-EQUIPPED, UPPER GLASS, POWER-FOLDING AND MANUAL EXTENDING; Includes integrated turn signal indicators Chevrolet LTZ with DEEP OCEAN BLUE METALLIC exterior and JET BLACK interior features a 8 Cylinder Engine with 445 HP at 2800 RPM*.